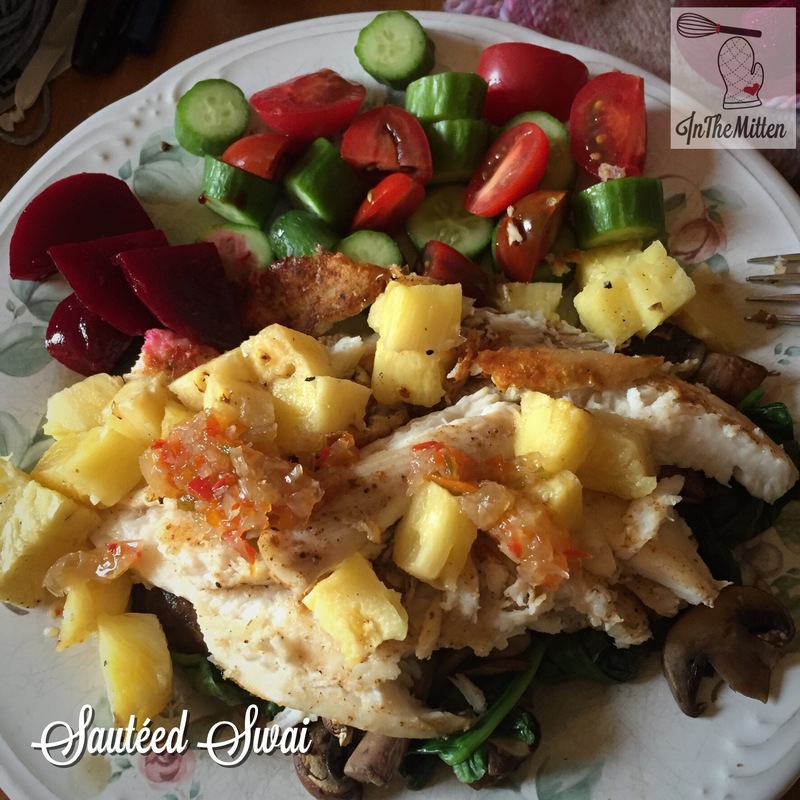 Sautéed swai filets, served over spinach and mushrooms, topped with grilled pineapple and a dab of Dixie Relish. Homemade zesty pickled beets and a simple cucumber and cherry tomato salad on the side. 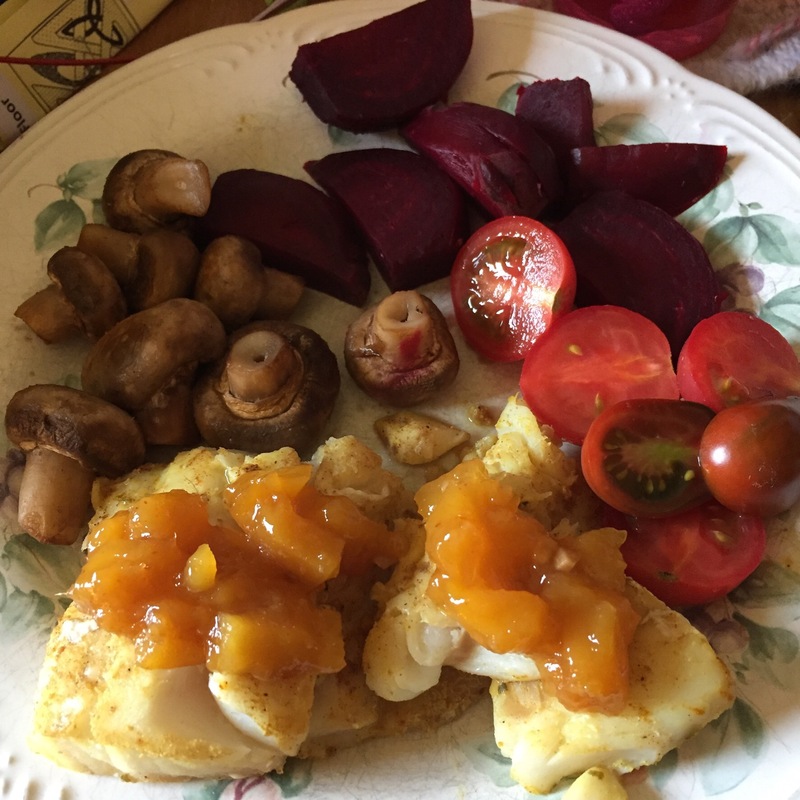 Sautéed cod, seasoned with curry powder and topped with homemade mango chutney, mushrooms, beets and cherry tomatoes. 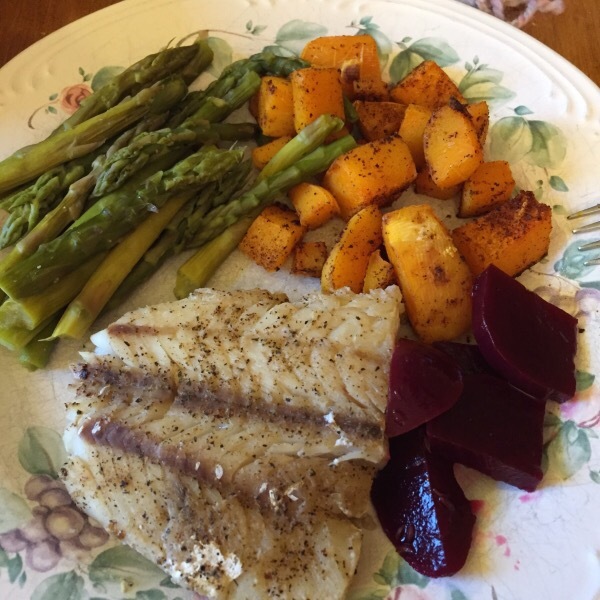 Sautéed cod, steamed asparagus, roasted butternut squash, homemade zesty pickled beets. Yum.